This exclusive development of only 39 apartments is beach living at its best! 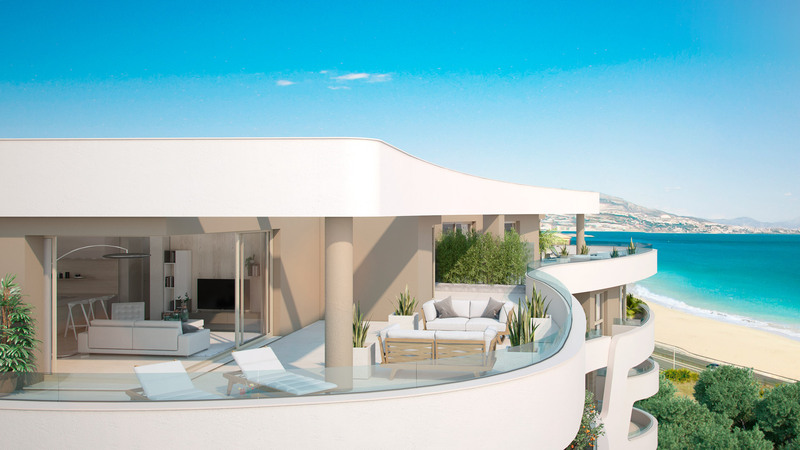 With sea views, direct beach access, iconic architecture and life’s amenities on the doorstep. What more could you want from a Mediterranean resort community? Drive through the curved entrance archway and you will enter lush green, tropically landscaped gardens that embrace 3 stunning looking buildings buildings of contemporary, sleek design. A unified architectural approach provides spacious communal grounds with uninterrupted lines-of-sight across from the pool to the central "plaza" and through the sprawling gardens. These open areas give the resort a fresh, spacious feeling and allows the sunlight to flow throughout. Once inside the properties, you are immediately met with an unbeatable Mediterranean Sea view. The master bedrooms have been intentionally positioned to enjoy the same vistas as the main open-plan living area, which combines the kitchen, dining and lounge to provide a luxury modern environment.